Finally finished and photographed some paintings I started this summer at a workshop! 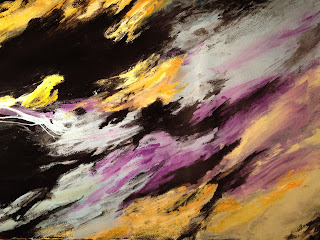 I used latex house paint on arches 140# watercolor paper. Was a great weekend at the Doug Walton workshop. These are a few of the ornaments that I painted this season. Order early for next year!!! 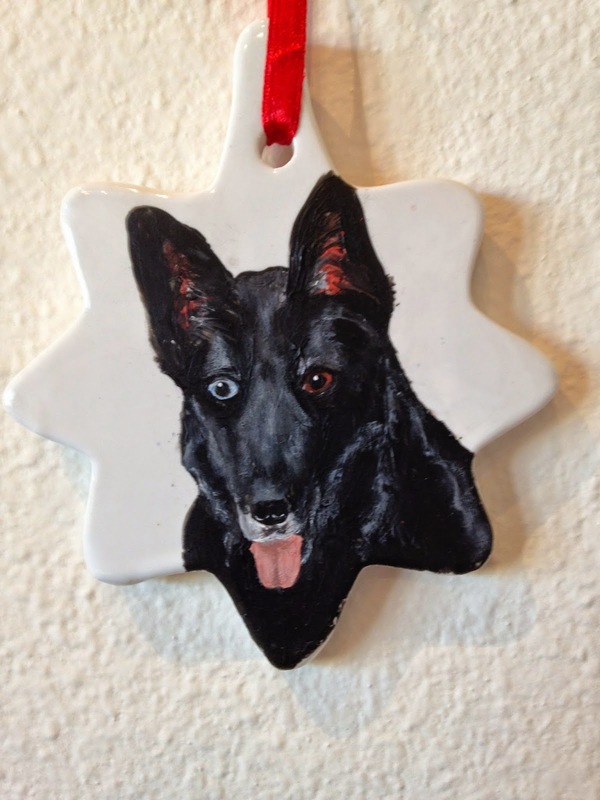 Ornament of Shadow, one brown eye, one blue! May he rest in peace. This was done in a class demonstration. Acrylic version is also being done. 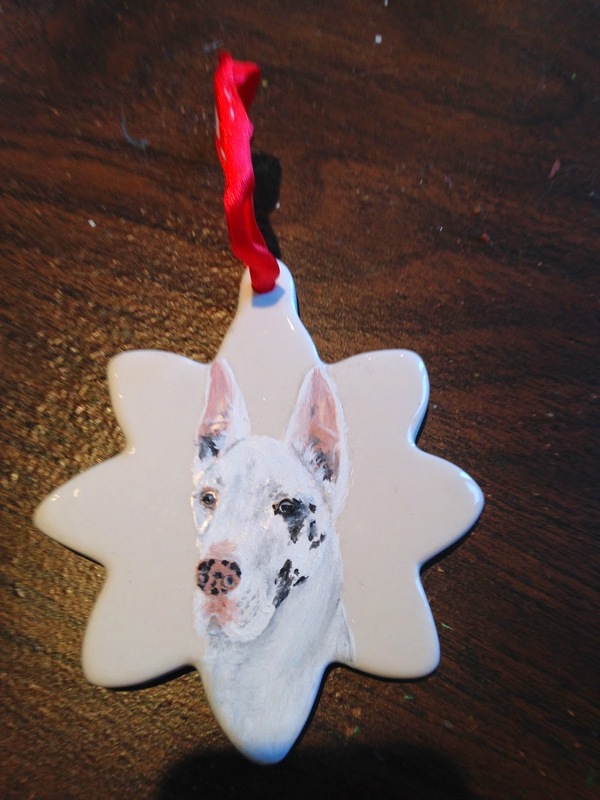 Meet Speedway painted on the ornament from the picture on the left. 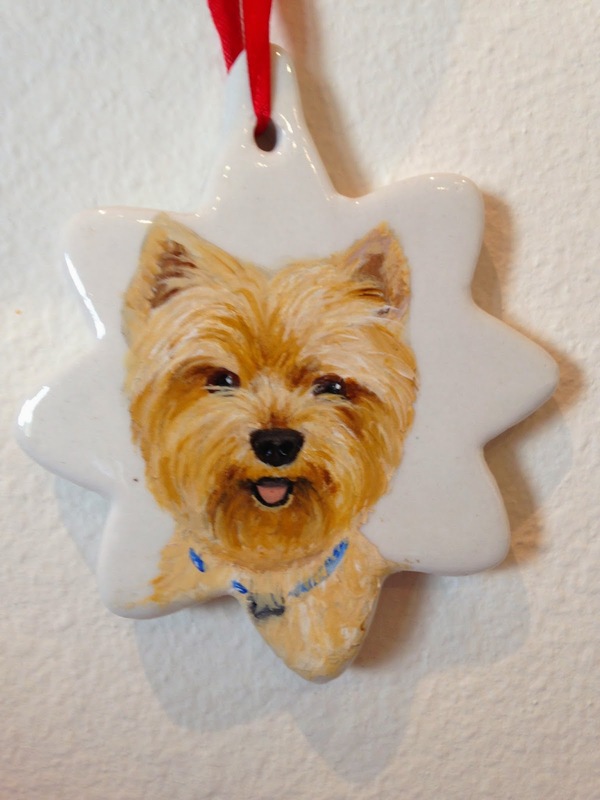 Order your pet ornament now before the holiday rush. 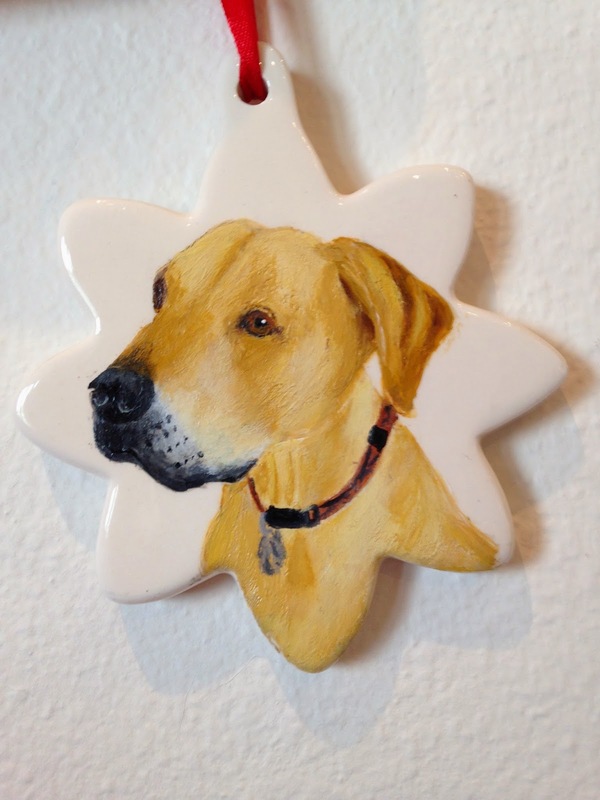 They make great gifts for the animal lover in your life. Currently $30 plus shipping and handling, later in the season the price goes up!! !Click here to email your order and pictures. This is an 11"x15" watercolor on arches 140# cold press paper. I used Winsor Newton Watercolor paint. This was a demonstration for one of my adult classes. This one is going to a silent auction for my next high school reunion in upstate New York. Value $215. I am demonstrating both of these paintings in an adult class, one in watercolor and one in acrylic. Not quite finished yet. Although I like to experiment with various media and techniques, transparent water color is my primary media. My love of the earth and Mother Nature are reflected in my work, even abstracts turn into trees and countryside. Although I am predominately a landscape artist I enjoy painting different subject matter using a wide variety of materials. Recently, I have been experimenting with equine subjects. I believe that we as people are forever changing and growing this carries through my art with different media and subjects. To stay the same would be… to be left behind. To contact Linda call 817-421-2486 or email lindaabein@gmail.com. 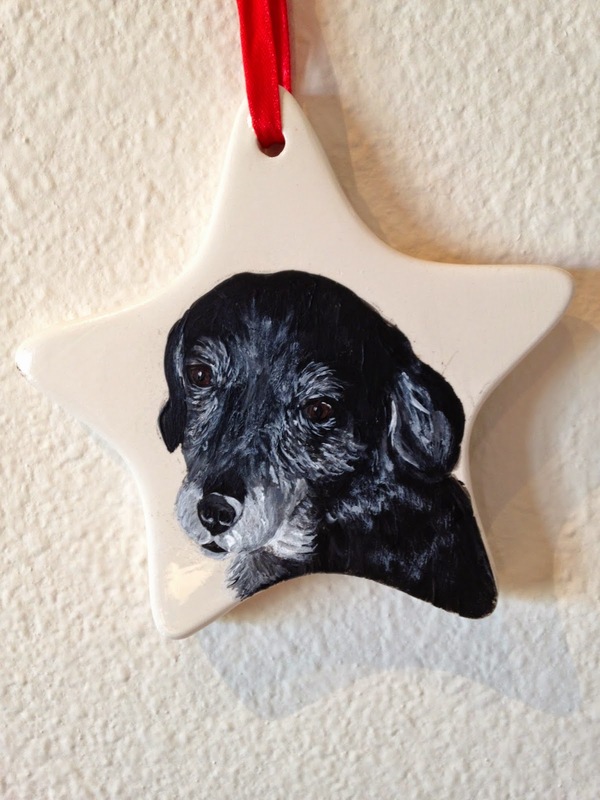 You can order custom hand painted ornaments by Linda Bein at http://www.etsy.com/shop/beingallery. You may order prints of selected works by Linda at http://fineartamerica.com/art/all/Linda+Bein/all. You chose from a variety of sizes and media. 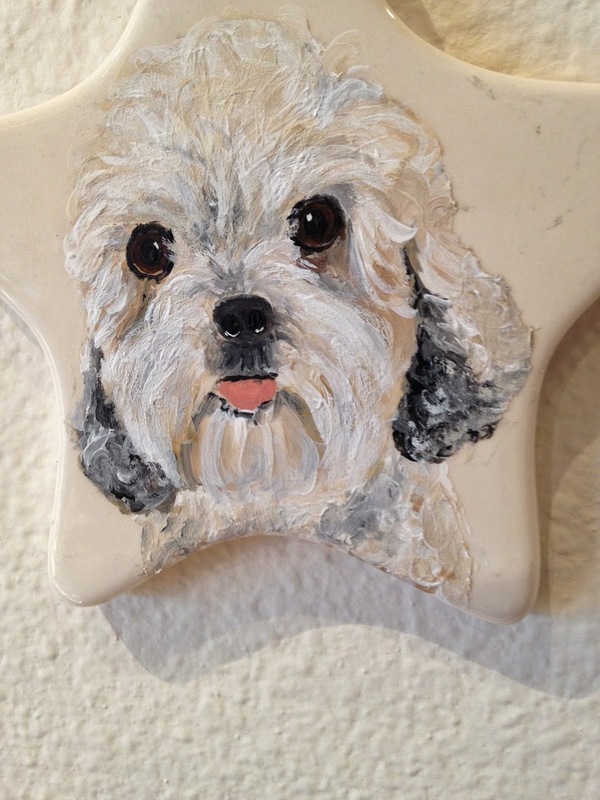 They can be printed on watercolor paper, canvas, even cards.